Czech Airlines will now operate regular scheduled flights to Billund, Bologna and Venice as well as to Nice and Almaty. Flights to Yerevan will be reintroduced while, towards the end of the winter season, Czech Airlines will relaunch its own operation on the Helsinki route. Czech Airlines also plans to increase the number of its weekly flights to Rome and Bratislava and add one frequency a week on its routes to Rostov on Done, Samara, St. Petersburg and Yekaterinburg. Additionally, Czech Airlines will add a Beijing route on its winter schedule thanks to its co-operation with Hainan Airlines. In the 2015/2016 winter schedule, Czech Airlines will operate regular scheduled flights together with its partners to more than 80 destinations in 40 countries. Czech Airlines’ winter timetable comes into effect on 25 October 2015 and terminates on 26 March 2016. 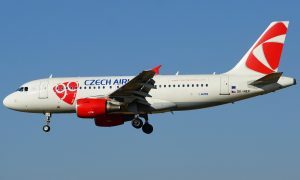 Compared to last winter season, Czech Airlines will expand its offer of regular scheduled connections by seven destinations this year. New additions to Czech Airlines’ winter timetable are: regular scheduled flights to Billund (4 times a week), Bologna (4 times a week and, effective March, up to 7 times weekly) and Venice (3 times a week and, effective March, up to 5 times weekly) – destinations added or reintroduced to Czech Airlines’ schedule this summer season. “We originally planned to operate Billund year round, but Venice was originally planned as our seasonal destination. The interest in the routes positively surprised us. Therefore, we have decided to launch year-round operations on the routes. We will add three more frequencies a week on the Bologna route with effect from the beginning of March 2016, thus offering the connection on a daily basis,” Ján Tóth, Czech Airlines Director for Commerce and Marketing, said. The seasonal connection to Nice will also see some changes. 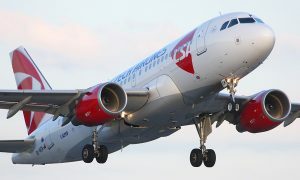 This year, for the first time, Czech Airlines’ Nice connection will be operated year round, with two return flights a week. At the end of the winter schedule, at the beginning of March 2016, Czech Airlines is relaunching operations on the Helsinki route, after a five-year break. At the beginning, the route will be serviced 4 times a week with departures from Prague on Mondays, Thursdays, Fridays and Saturdays at noon, returning from Helsinki at 5:15 p.m., with the flights operated by Airbus A319. Czech Airlines is planning to operate the route in the 2016 summer season too, with up to a daily service. In the 2015/2016 winter schedule, Czech Airlines will enhance its oldest regular scheduled connection, the Prague – Bratislava – Košice return service, by two weekly frequencies, departing Prague on Tuesdays and Thursdays at noon. 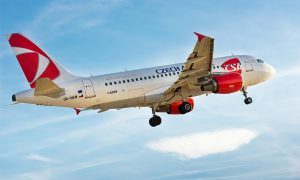 Effective this November, Czech Airlines will offer a daily connection on the route on workdays, with two connections a day on Mondays, Wednesdays and Fridays – featuring morning and evening flights. Another addition to Czech Airlines’ winter schedule is a regular connection between Prague and Beijing, offered by Czech Airlines on a code-share basis with Hainan Airlines. Czech Airlines’ has its unique OK code for the flights and, thanks to its co-operation with Hainan Airlines, is also able to offer its passengers connecting flights to 12 destinations in China, such as Shanghai, Guangzhou, Harbin, Chongqing, Chengdu, Xiamen, Shenzhen and many more important cities and tourist resorts. Czech Airlines’ winter 2015/2016 schedule also features the Prague – Seoul regular scheduled connection previously offered, popular primarily with tourists from destinations in South America and operated by the OK-YBA Airbus A330. Czech Airlines will offer eight frequencies a week on the route in co-operation with Korean Air, four operated by Czech Airlines and four by Korean Air. “We have witnessed signs of stabilization and consolidation in the Russian market and a cautious change of demand trends for travel to the Czech Republic which we wish to explore. Therefore, we have decided to add one return frequency on our Prague – St. Petersburg, Prague – Yekaterinburg, Prague – Rostov on Done and Prague – Samara routes, effective the start of the winter 2015/2016 schedule,” Ján Tóth explained. Czech Airlines will also offer a series of flights to Almaty during the Christmas and New Year’s Eve festivities, unlike last year when the route to the Kazakhstan metropolis was not operated during the period. The Almaty route will remain a seasonally-operated destination. Effective 13 December 2015, Czech Airlines plans to relaunch its connection between Prague and Yerevan, with a seasonal mode of operations for the time being, and three weekly return frequencies during the traditional Christmas and New Year’s Eve celebrations, the last to be on 21 January.